If you want a better smile – try teeth whitening. 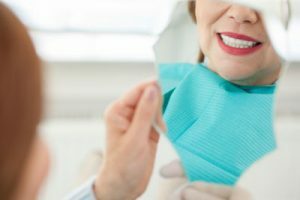 There are many ways people can damage their smile. One of the most common is using products and living a lifestyle that stains your teeth. Coffee, tea, balsamic vinegar, soy sauce, and a multitude of other products that have become part of our daily life, are responsible for tooth discoloration. This ultimately results in a smile that is not as white as you would want it to be. This tray holds the gel that contains the whitening solution. A customized tray will remain in place, providing the most effective results. On the other hand, store bought products come as a one-size-fits-all option. There is no specialized attention paid to the individual patient’s circumstances. The tray may not fit properly, be uncomfortable or even leak solution onto the gums. A common question is which one is more effective.As a dentist, providing teeth whitening services, we have access to a much larger array of tools and stronger whitening solutions than you do at the local store. Store-bought whitening solutions typically only have up to 3 percent hydrogen peroxide in the gel’s make up. Ultimately, there are choices, and you do not have to live with stained teeth.Finding the solution that meets both your needs and your budget is relatively simple. To learn how affordable in-office teeth whitening is, give our office in Long Branch a call at (732) 504-6914.